When you need a sturdy tool to take with you on all of your outdoor explorations, be sure to check out this excellent survival axe. 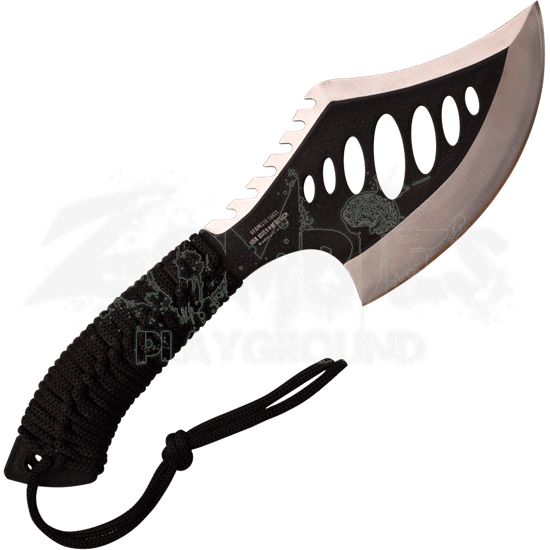 The Two Tone Survival Hand Axe is small enough to be portable and large enough to be effective. This stainless steel axe features a rough black finish in the middle of the blade, showing silver along the edges. Thin oval cutouts appear across the blade, and a sawback runs along the back edge. 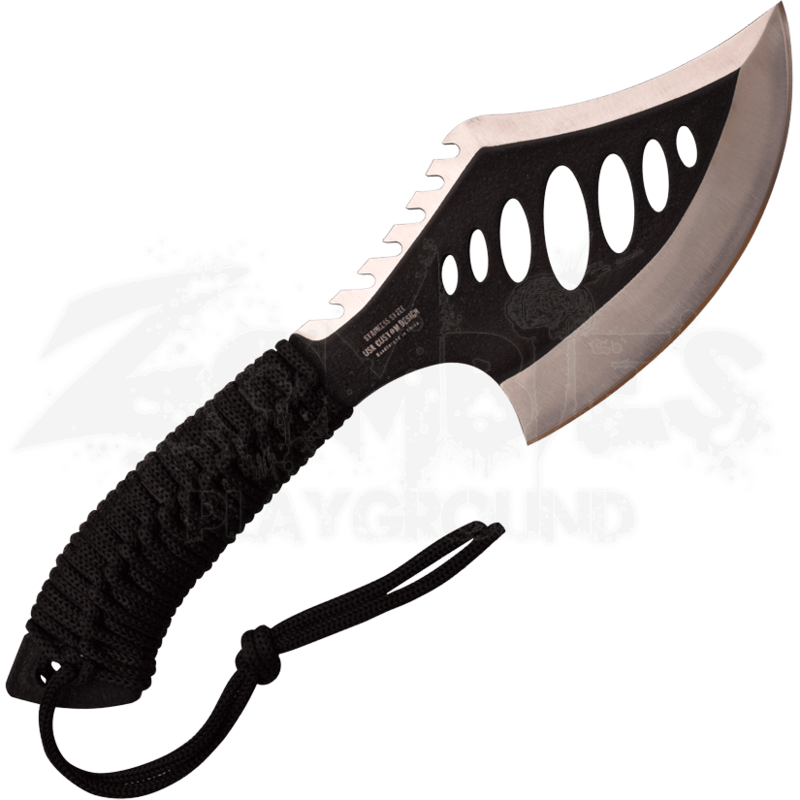 The handle of the functional hand axe is wrapped in black cord for a comfortable and sturdy grip. This steel axe comes with a nylon sheath for easy carrying and storage.